When a driver is arrested in the Commonwealth of Massachusetts for operating a motor vehicle under the influence of alcohol (OUI), local police or state troopers will attempt to administer a series of field sobriety tests. Three of these tests are considered standardized field sobriety tests, which were developed with help from the United States National Highway Traffic Safety Administration (NHTSA) and the International Association of Chiefs of Police. In addition to these standard field sobriety tests, there are also a variety of unapproved field sobriety tests, such as asking suspect to recite the alphabet. This test has not been validated as accurate. There are even some stranger tests, such as dropping a coin on the ground an asking a suspect to pick it up to see how their balance is affected. This test is not done all too often, because, in addition to it not generally being admissible in court, suspects have fallen over and hit their heads on the asphalt. Even approved tests such as the Horizontal Gaze Nystagmus (HGN) test are often not admissible in our state’s courts, unless an expert witness can validate the results. 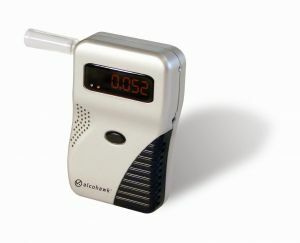 This leaves the breath test machine (colloquially called a breathalyzer, which is a genericized trademark) as the gold standard in proving whether a driver was drunk. According to a recent news article from CBS Boston, accuracy concerns about state-approved breath testing equipment may lead to inadmissibility in OUI trials. This, in turn, may lead to few people getting convicted for drunk driving in the Commonwealth of Massachusetts. However, as Boston drunk driving accident attorneys can explain, it is not necessary for a suspect to get convicted of drunk driving to be found liable in a civil personal injury lawsuit. There are also different rules of admissibility in civil cases. For example, if a person has already been tried and convicted, or even acquitted, in a criminal drunk driving trial, they may lose many of the protections available to them in the civil process, including the right to confront one’s accuser in the Sixth Amendment and the right to remain silent from the Fifth Amendment as applied to the state in the 14th Amendment, as well as Article 14 of the Massachusetts Declaration of Rights. It should be noted, the right to confront one’s accuser does not relate to what a person might assume. It is not really the issue of a victim testifying in a drunk driving criminal or civil case, but the right to have a chemist testify in relation to a breath-testing machine. It is also important to note that there is a different standard of proof in criminal cases and civil cases. In a criminal trial, prosecutors must prove a defendant is guilty beyond a reasonable doubt to secure a conviction. In a civil trial, there is a preponderance of evidence standard, meaning it is more likely than not defendant is liable. Contrary to what many defendants think, being acquitted of a crime does not mean most people will think they were actually innocent. It just means prosecutors could not convince a criminal jury defendant was guilty beyond a reasonable doubt. Your drunk driving accident lawyer may be able to use the same facts and evidence to win a civil case.